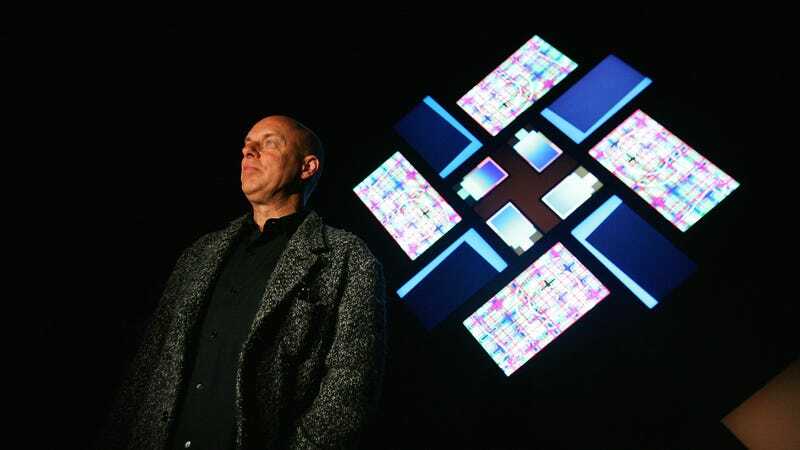 According to Pitchfork, Brian Eno has announced a new collection called Music For Installations, which is a fairly appropriate name since Eno reportedly wrote a lot of the music for art installations—which, up until now, was the only place you could hear some of this. The compilation will include “new, rare, and previously unreleased tracks,” and it’ll be available on an enormous vinyl box set consisting of nine LPs. In case that doesn’t sound big enough, the box set will also come with a 64-page book of “rare and unseen exhibition photographs and a new essay written by Eno.” Amazon has a pre-order page up for Music For Installations, with the price currently set at just over $230. The set will be available on May 4.